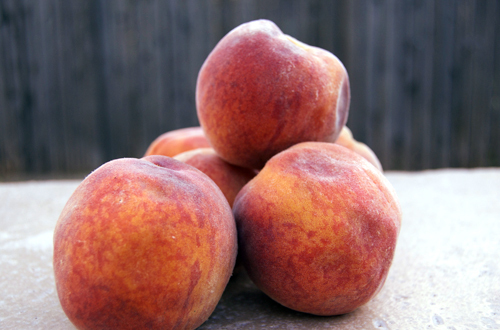 This recipe is great for summertime because the tomatoes and peaches are in season and so delicious. Hurry and get some of your own before summer is over! 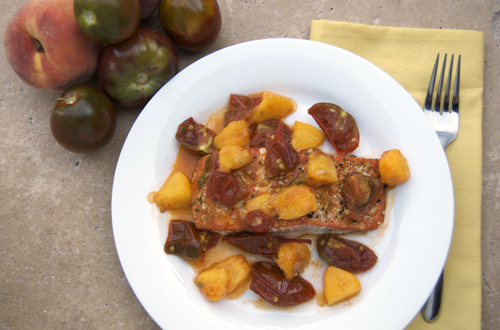 The sweet peaches mixed with the sweet and tangy tomatoes make a great topping for salmon. What makes this even better? It is super healthy too! Preheat the oven to 450F. Combine the garlic, curry powder, salt and pepper in a small bowl, then rub over each salmon filet. Place the salmon on a greased baking sheet and bake at 450F until cooked through (about 10-15 minutes). Heat the oil in a large skillet over medium heat. Add the onion and sauté until soft (about 5 minutes). Add the tomatoes, peaches and thyme and continue to sauté until soft (about 3-4 minutes). Spoon the compote over each piece of salmon before serving. Gorgeous dish! I love the combination of peaches and salmon! Wonderful recipe! This is a great combo! YUM! What a winning duet! All in season – all juicy and sweet – perfect for the salmon. Love when something is utterly delicious and healthy! This looks amazing!! 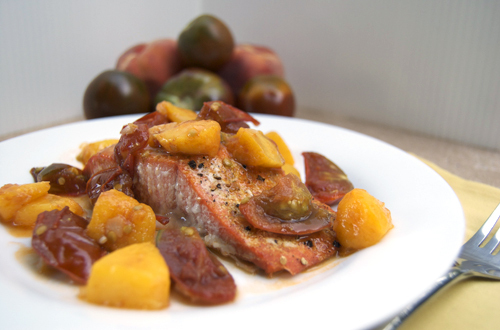 I love the peach and tomato compote…that is so great. I would never think to pair salmon and peach but it looks great! Oh I love the use of peaches with this! There is just something about fruit paired with fish that I absolutely love! Goodness! That looks so amazing! That salmon is cooked to perfection. What a fantastic way to cook with peaches. Thanks for sharing! You know, you’ve inspired me to buy some heirloom tomatoes on my next trip to the market. I stubbornly avoided buying any tomatoes this season because I’ve been growing my own, but they are not heirlooms. You’re right about how cool the heirlooms look. My neighbor is inundating me with peaches from her trips to the “you-pick” farms, so I have no excuse not to try your recipe. Thanks for sharing. This looks great! I was so sad last weekend when a sudden downpour arrived just as I was heading out to buy – heirloom tomatoes and peaches – at the farmers’ market! Hopefully the weather will be better this weekend and then I might be able to try this recipe out! This is stunning. I’m allergic to salmon, but I love heriloom tomatoes and peaches! Beautiful dish! What a combination..I would never thought putting it together, but looking at your photos..looks so yummy! Nicely done! 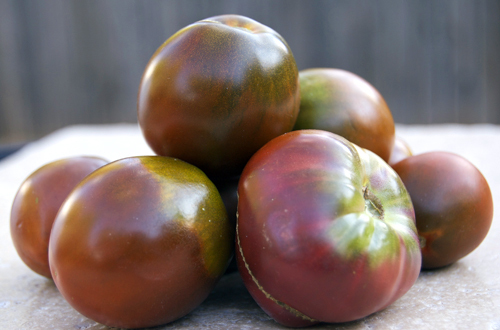 Those heirloom tomatoes are so pretty! When Summer rolls around, I am resolved to be more brave with fruit and savoury combinations. Your dish is inspiring! That salmon must have been crazy-delicious! I am loving that colorful topping. This recipe looks great! It appears to be missing the quantities for onion and thyme- can you let me know what quantities to use? I’m sorry, not sure where you are looking? This recipe doesn’t include onion or thyme. 3. Heat the oil in a large skillet over medium heat. Add the onion and sauté until soft (about 5 minutes).